Support of the Computer Conservation Society recognising our work in restoring the Argus 700 computer. 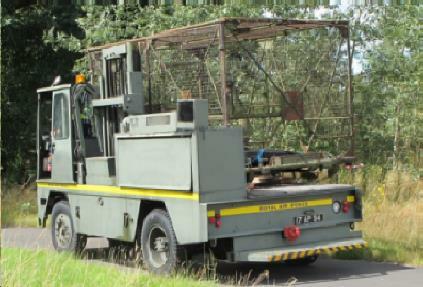 BMPG has acquired a Type 86 aerial cage that will allow for the safe and correct transportation of the T86 radar aerials by road. 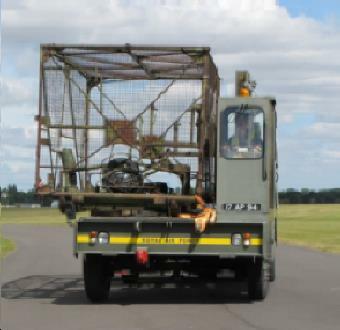 The cage was delivered to Cosford where the RAF Museum helped out with the unloading using their Bloodhound side loader. 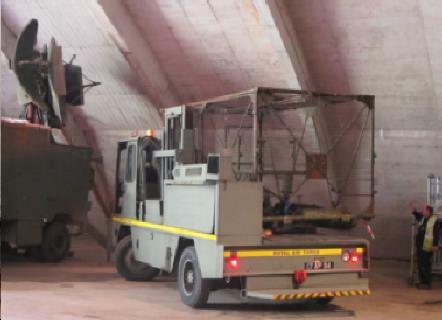 The side loader then moved the cage to the hangar where the Type 86 and LCP are kept. This is possibly the only time a Bloodhound side loader has moved a load it was designed for since 1991! 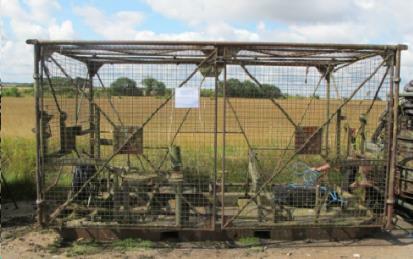 The importance of the cage is that it has the correct mounts for transporting the T86 aerial system. Call for volunteers please to help us restore it!